Get ready to have some more fun with all of your favorite characters from the beautiful cartoon world, as today, our team from games-kids.com has brought to you more new fun games to play, along with all of your favorite characters that our site has. 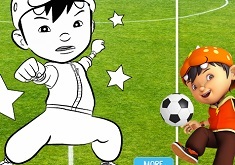 The next game from today's batch, is going to be a new puzzle game within the latest category that our site has, the one with Boboiboy, and we invite all of you friends, to try this new game with your beloved characters, a game called Boboiboy Puzzle 2. 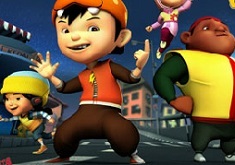 We did notice that in the previous game with him, you kids had a blast together, and we wanted to offer you the opportunity to play a new puzzle game with Boboiboy. The only difference is that you are going to see a whole new beautiful image with your friends from the cartoons with Boboiboy. Enjoy this new beautiful puzzle game, kids, and if you liked it, stay tuned for more fun!